The Jetty project is a research investigation that seeks to explore how a practice-led fine art project can meaningfully contribute to the multi-layered debate around sustainability in the urban realm. Can Art be a catalyst for sustainability? 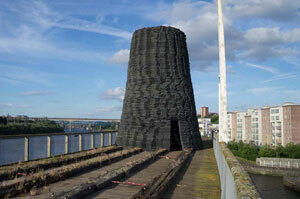 What is the potential sustainability legacy and impact of temporary artistic interventions? 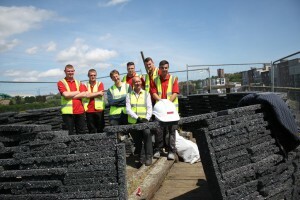 The Jetty project is led by Newcastle University in collaboration with Lancaster University. At the heart of the research is the development and creation of temporary large-scale architectural artworks in the context of the Dunston Staiths, a site considered to be of international historic and ecological significance. This impressive wooden staith is a landmark Scheduled Monument and Grade II listed structure on the south bank of the River Tyne in Newcastle Gateshead. 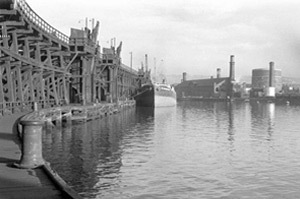 The Jetty project funded by the AHRC (Arts & Humanities Research Council). 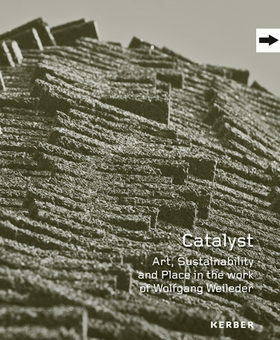 Art as a Catalyst for Sustainability? How can a practice-led fine art project meaningfully contribute to the multi-layered debate around sustainability in the urban realm? 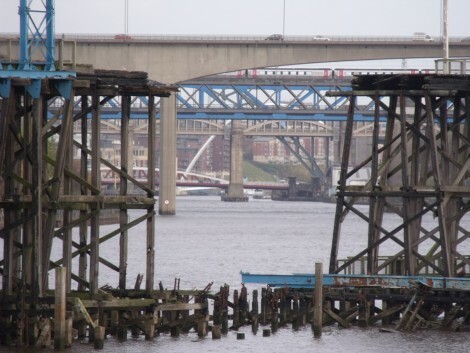 Dunston Staiths is owned by the Tyne and Wear Building Preservation Trust and is considered to be of international historic and ecological significance. What is the potential legacy and impact of temporary artistic interventions in the context of sustainability?